Is this the wrong time of year to post a smoothie recipe? It’s not summer, so people aren’t hankering for a cold drink. It’s not January, so people aren’t looking for weight loss recipes. 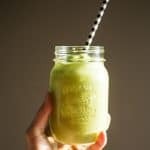 I might be out of my mind to post this recipe right now, but I just love this smoothie so much I need to talk about it! I first discovered this smoothie ingredient combo when I saw a post on Pinterest claiming to have The World’s Best Green Smoothie. I normally balk at these claims because anyone can make them. Heck! I’ve even made those claims too! I have the World’s Best Gluten-Free Chocolate Chip recipe, the World’s Best Falafel recipe, etc, etc. 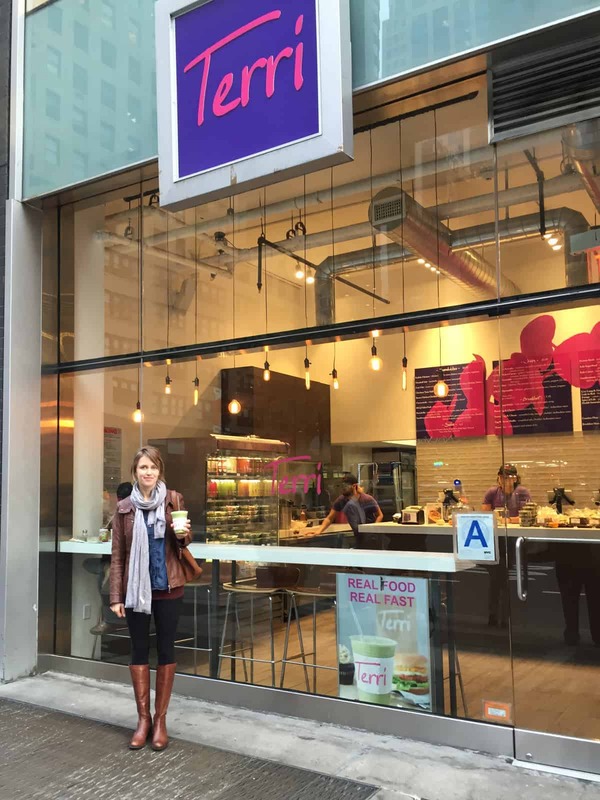 But then the post highlighted how popular this smoothie recipe was at a shop in NYC. 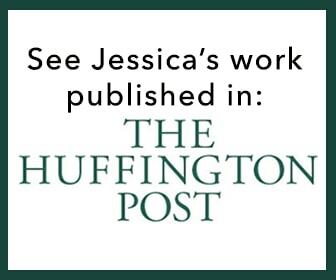 The social proof won me over to, at least, take a look. And it sounded good, so I tried it! Of course I modified the ingredients slightly but I had to admit that yes, this is the World’s Best Green Smoothie! 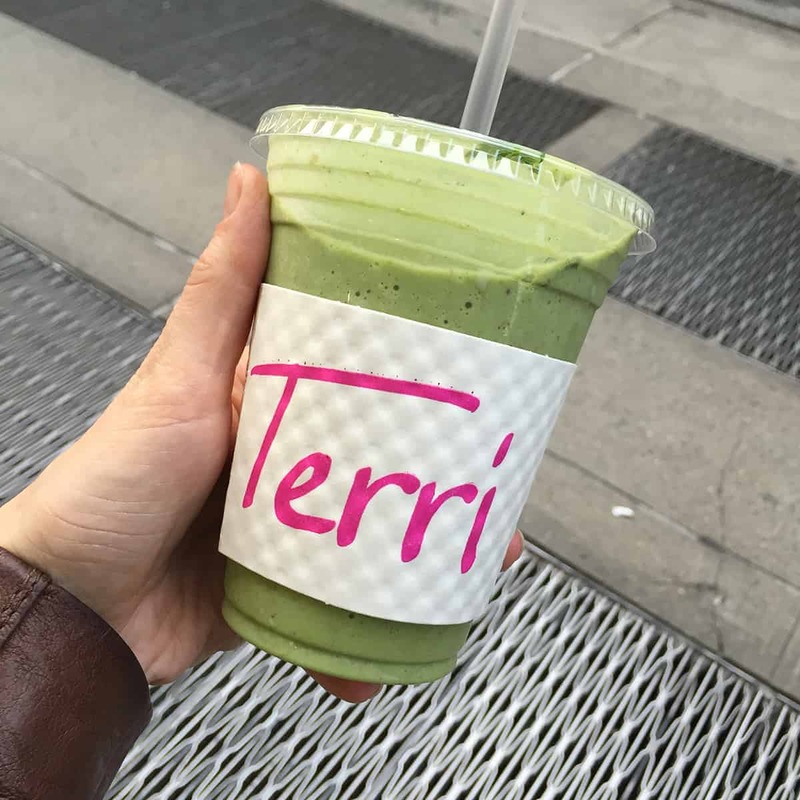 When we went to NYC I figured I needed to pay my respects to the originator of this smoothie and visit the shop, Terri, that sells them. The verdict! Absolutely divine. My husband thought that it was tastier than my version but they do use a sweetened soy milk though. Of course, it’s going to be tastier! I can’t compete with sugar! But my version is still pretty dang good. I added vanilla and vanilla always makes everything better 🙂 Take that, sugar! I’ve had a little pear obsession recently. They are so dang flavourful! And each pear has about 5-6g of fibre! Eating pears helps make it so easy to meet your fibre goals for the day (25g for women and 35g for men). Pears also contain potassium, Vitamin C, and Vitamin K. They’re a super heart healthy choice! And let’s not forget the kale! Smoothies are such a great way for eating veggies at breakfast! Did you know that 90% of people are NOT meeting their daily fruit & veggie needs? I created a way to make it super easy for you to start your day off veggie strong! I created this Veggie Smoothie Freezer Pack printable that will give you an average of 2.5 servings of fruits and vegetables in EACH SMOOTHIE! Just enter your e-mail address to get the printable, including a shopping list and full instructions. 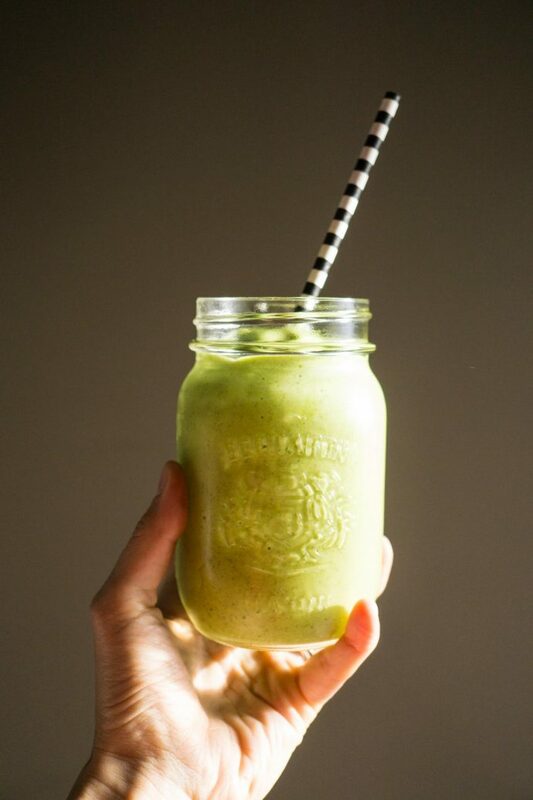 A creamy blend featuring pear, kale, and vanilla. Place all ingredients in blender in order listed. Start on low and then turn to high speed. p.s. This recipe is also part of my breakfast batch cooking plan! Prep once and you’ll have 21 days of nourishing breakfasts ready to go from your fridge or freezer! Check it out here. Truly the best smoothie! The combination is perfect. I’ve had a smoothie for breakfast nearly every day for three weeks but not one compares to this one. I used a “mixed smoothie green mix” which included kale, chard, mustard green and spinach along with a scoop of vanilla protein powder instead of vanilla. I might try adding ground flax?? This smoothie will become a regular in my rotation. Thank you so much for the recipe!! Awesome! So glad you enjoy it too! Let me know how it goes with the flax! That sounds great! Yeah, I often like to add pysllium, flax, or my smoothie booster recipe for a bit of a nutrition boost! Happy pregnancy to you! The recipe in the picture and the recipe written out are different… which one do you use? I use the one written out in the recipe. It’s my adaptation from the one in the photo. Hi, so I bought all the ingredients to make the recipe in that photo, however the printed recipe is different. Upon reading the comments I see YOU use the printed version but it just says 1/2 cup milk. Are you still using soy milk? Does the banana need to be frozen? I’ve made it with both soy and dairy milk. Since we keep dairy milk in our house that’s what i use most often 🙂 For a frozen, smooth texture, it’s best if the banana is frozen but, in a pinch, you could use a fresh one. I used simple truth organic pears in pear juice. I added the juice from the cups as well. I was only going to use 2… but my 4 year old asked for a cup and then decided she didn’t like them. So I went ahead and tossed them in. This filled my 20oz travel cup with 4-6oz leftover. 4 year old is happily drinking the leftovers as I type this. Easily one of the best smoothies I’ve ever had. Thanks for the review! That’s cool that you tried it with canned pears; they’re more accessible year round! Loving this smoothie and have been using almond milk because it’s ehat I typically have. Are there benefits to using the soy milk vs the -almond? Question….Can you use spinach instead of Kale? For sure! In fact, I just did that today! I made this today and it was kind of grainy/chunky. The flavor was great but the texture was off. Any suggestions? Hmm, what type of blender do you use? I have to admit that I use a high powered blender so mine always end up super smooth…. They say there’s no such thing as a stupid question… do you take the skins off the pears? Haha, this one is not a stupid question! One thing I love about smoothies is that you can get all the fibre goodness of the skins on the fruit! So nope, I do not take the skins off! I have a hard to with kale. Just can’t make myself like it no matter how hard I try. Can you taste it? You can’t taste the kale at all! I find kale totally different raw than cooked. Hi where do I buy almond butter?